Graduates of the toughest jungle training the Vietnam War had to offer! before and after our visit with the 5th Special Forces in Nha Trang! 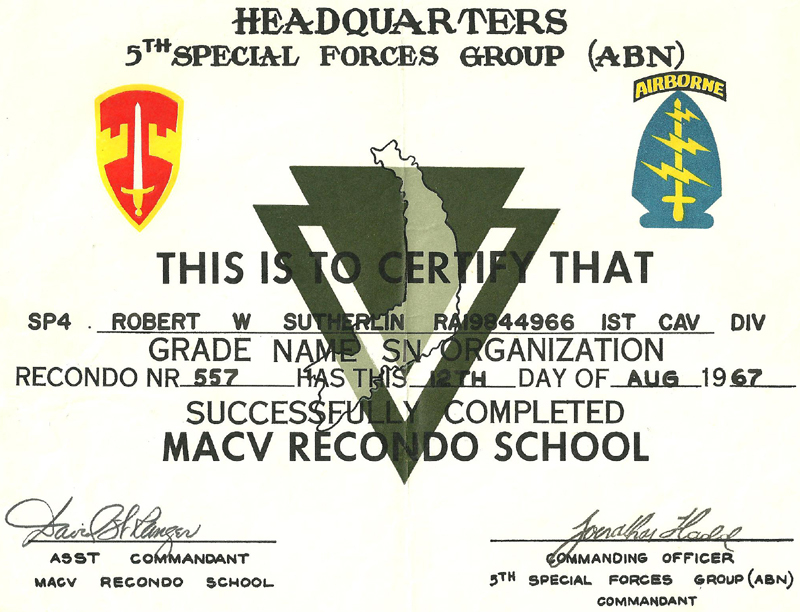 Certificates are presented in order of Recondo Number. This page loads slowly. How slow depends on your modem speed and all sorts of techy stuff. Once in cache though, it should reload quickly.